Participate in these Rewards Programs – no extra cost to you! o Kroger Community Rewards: It is easy!!! Any rewards you earn go directly back to our school. Go to their website at www.krogercommunityrewards.com and choose St. William School. Our school’s ID number is NS244. o Box Tops for Education: Did you know that Box Tops raised over $800 for our school last year? There are boxes for collection located in each classroom or you can put them in our school mailbox outside. Box Tops can be found on many of your favorite brands such as, General Mills, Kleenex, and Pillsbury. 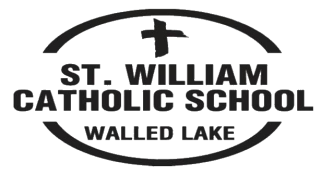 o Amazon Smile: If you want Amazon to donate to St. William Church & School, you need to start each shopping session at the URL http://smile.amazon.com, and we will donate 0.5% of the price of your eligible purchases. Make sure to select us as a charity and shop away! !